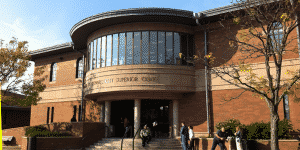 When an arrest happens it is important to start the bail bonding process right away. 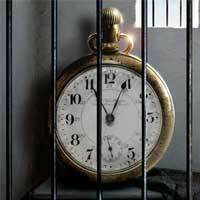 It doesn’t matter whether is late at night or early in the morning our Meriden Bail Bondsmen are available to post bail at the Meriden Police Department and Meriden courthouse Ga-7 24 hours, 7 days. 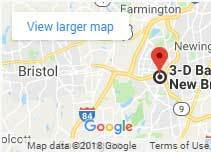 All CT bail bond fees are regulated by the state of Connecticut meaning no bail company or bail agents can offer a cheaper price. However, in order to help, team 3-D created the most affordable financing plans so you can afford the bail bond and bring your loved one back home today. Visit our Facebook offers page or contact one of our trusted CT bail bondsmen and learn more about the many options you have by using our local Meriden bail bonds service. Local Meriden Bail Bondsmen are local to the community they serve. Most of our agents have been with us for over ten years. They are reliable, honest, and most importantly very respectful of your personal situation. They are very familiar with the process and paperwork at all local police stations and courts because they are there all the time. It is very convenient to hire local agents who can help and guide with accurate information and process. Now keep in mind that because there is a bondsman near you, it doesn’t mean is the best bondsman option. Here is what we recommend when hiring a bail bondsman or bail bond company: do your own research, look at pictures, read about who they are and validate your findings before hiring a bail bondsman. Always ask questions and only proceed if you feel comfortable. Never sign paperwork without reading and obtain receipts of all forms of payments given to the bail company. 3-D Bail Bonds often gives recommendations if there is a chance that the person in jail may not need the bondsman services. Our agents are highly trained to know these situations and therefore they can save you money. Promises to appear are common, they do happen so for an honest consultation, contact us today at 203-235-7711. 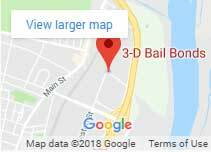 We have a local bail bondsman near Meriden right now! To learn more about our agents click here. The Meriden police station is located at 50 W Main St, Meriden. They can be reached by phone at 203-630-6201. Bail bonds can be posted 24 hours, 7 days at this station. The Meriden courthouse is located at 54 W Main St, Meriden. This court serves the towns of Cheshire, Hamden, Meriden, North Haven, and Wallingford. Meriden Court opens at 9 AM and court procedures start at 10 AM. Bail bondsmen are allowed to post bonds at this courthouse during court hours and while the person being held is still at the courthouse. We are experts in Meriden jail bail bonds and the bail processing in all of Connecticut. Like our Meriden Bail Facebook page and recommend us on Google!